When CAEL was founded in 1974 as a research project of the Educational Testing Service (ETS), Diana Bamford-Rees was CAEL’s first employee. For CAEL’s first three years, Bamford-Rees worked on the CAEL project as an employee of ETS. When CAEL spun off from the project and became its own organization in 1977, Morris Keeton took on the executive director position and asked Bamford-Rees to join him. Since then, Bamford-Rees has held multiple positions at CAEL, from executive assistant, to managing CAEL’s South Africa initiative. Most recently, Bamford-Rees was an associate vice president at CAEL, responsible for CAEL’s annual conferences, special events and workshops. As of June 30, Bamford-Rees will be taking on a new role: retiree. As she sets out on her new journey, CAEL members who have come to know Bamford-Rees best have shared their thoughts on what she’s meant to CAEL, its mission to make it easier for people to get the education and training they need, and to themselves. “I definitely remember the story [CAEL founding president] Morris Keeton told many times, and I know it was true because I was there when it happened, about the negotiations that transpired between CAEL and UAW-Ford, our first joint corporate/labor union client. We were going back and forth on the contract, and we had reached an impasse, and Morris said that we would throw in one of Diana’s famous cheesecakes if they would agree to close the deal. That did it! We got the agreement signed and Diana made one of the most wonderful cheesecakes I have ever had! 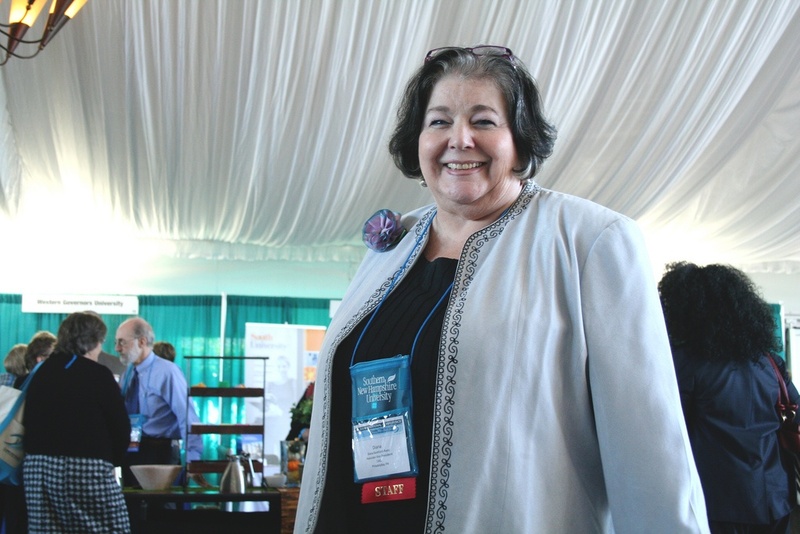 In honor of CAEL’s 40th anniversary, CAEL also spoke with Bamford-Rees about her time with CAEL, and the future of adult learning. The interview was published in CAEL’s Members-only Forum and News publication. You can read the full interview by clicking the button below.